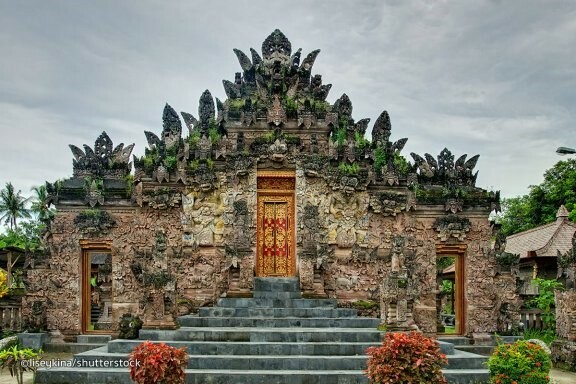 The Pura Beji Temple is a large and beautiful temple complex in the village of Sangsit in North Bali, dating back to the 15th century, during the spread of the Majapahit kingdom from Java. The temple is revered by village farmers and is unique in Bali, in that it also serves as a ‘pura puseh’ or the village’s central temple. The temple adds to the checklist of historical landmarks that you can tick off on your sightseeing tours to Bali’s northern area. The temple is within a eight kilometres’ drive from Lovina Beach.